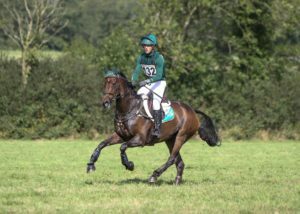 Horse Sport Ireland Eventing Team Manager Sally Corscadden has announced the Irish Eventing squad and reserves for the 2018 FEI World Equestrian Games which take place in Tryon, North Carolina USA this September. The team includes two RED MILLS riders, Sam Watson & Cathal Daniels. Team and individual World Championship titles are up for grabs in eight FEI disciplines – Jumping, Eventing, Dressage, Para-Dressage, Driving, Endurance, Vaulting and Reining. All combinations are required to maintain their current form and soundness to remain on the squad for the Championships. “It is very exciting to be travelling with a squad that has achieved competitive individual performances at four-star and Championship level. Our job is to progress this into a competitive team result and a qualification for the 2020 Tokyo Olympics. 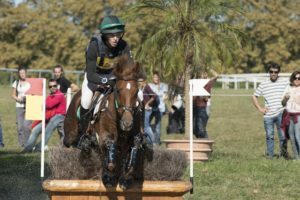 Our Eventing squads have consistently produced top class results at a broad range of three and four-star Internationals this spring, including a podium finish in the Nations Cup at Houghton Hall, and three riders finishing in the top 10 at four-star level. The 2018 FEI World Equestrian Games runs from September 11th to 23rd with the Eventing competition starting with Dressage on September 13th & 14th, followed by Cross Country on September 15th and the final Show Jumping phase on September 16th.